April 18, 2017 By Liz 22 Comments Note: This post may contain affiliate links. The weather has warmed up over here in Richmond and smoothie bowls are back. If we’re being honest, I was still eating them in the winter, but it meant I’d have to grab a blanket so I didn’t shiver while I was eating it. Warm weather is a little more conducive to smoothie bowls. This one is a combination of my favorite things: chocolate + peanut butter + bananas. Plus it’s packed with protein to refuel you after a morning workout! It’s packed with the goodness of almonds and creaminess of cashews! Perfect for smoothie bowls, cereal bowls, or straight up in a glass. 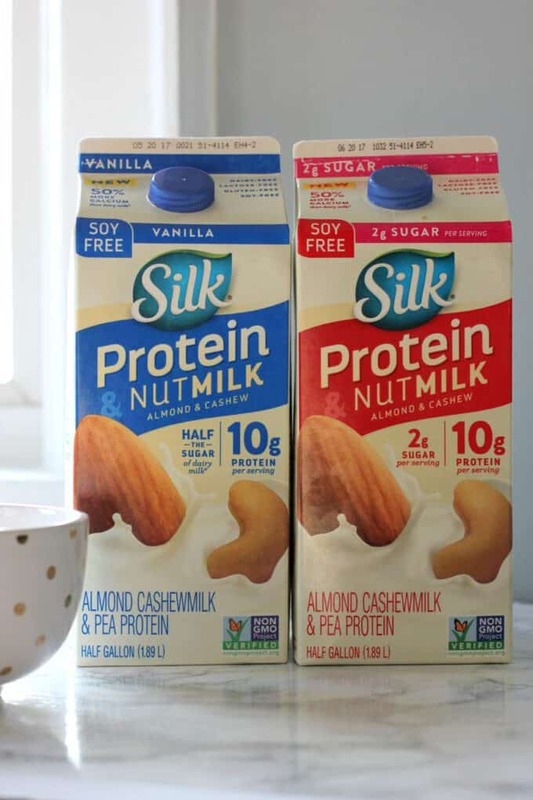 Each 1 cup serving as 10g of plant-based protein! Plus they’re free of dairy, soy, lactose, gluten, casein, egg and MSG. YES. 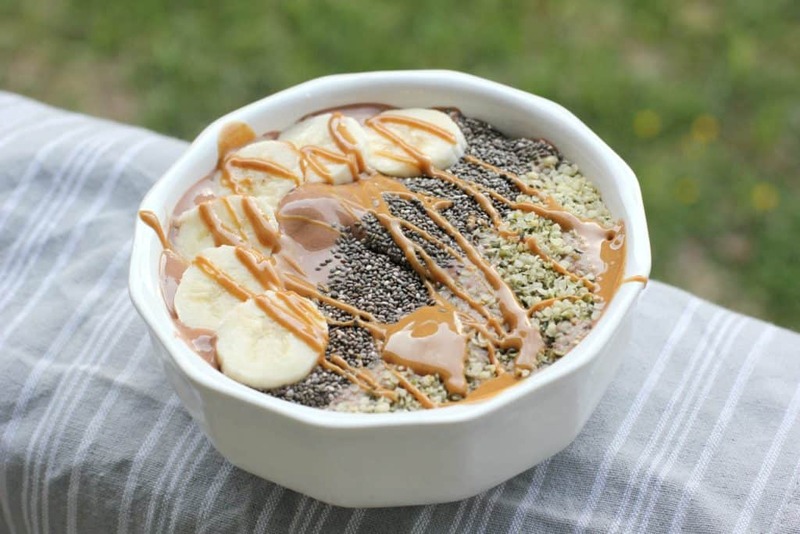 This peanut butter smoothie bowl is loaded with plant based protein! It’s the perfect breakfast for a busy day! Optional toppings: chia seeds, hemp seeds, strawberries, etc. In a blender, combine the ice cubes, cocoa powder, 1 tsp of peanut butter, 1/2 of the banana, and the Silk protein nut milk. Blend until smooth, then pour into a bowl. Top with the rest of the peanut butter, the other 1/2 of the banana, plus any other toppings you like! I used chia seeds and hemp seeds. If you’re having trouble finding the milk, check in the dairy section by the regular milks. They actually sell it at quite a few Walmart stores, in the grocery section with the rest of the dairy. I used the Silk Vanilla Protein & Nutmilk Almond Cashewmilk & Pea Protein but either one would be good in this recipe! 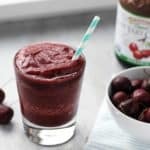 With the protein from the milk and the peanut butter, you really don’t even need to add protein powder to this smoothie! Alex always jokes that it looks like I’m eating ice cream for breakfast… which isn’t too far off! ? It tastes so creamy and delicious! 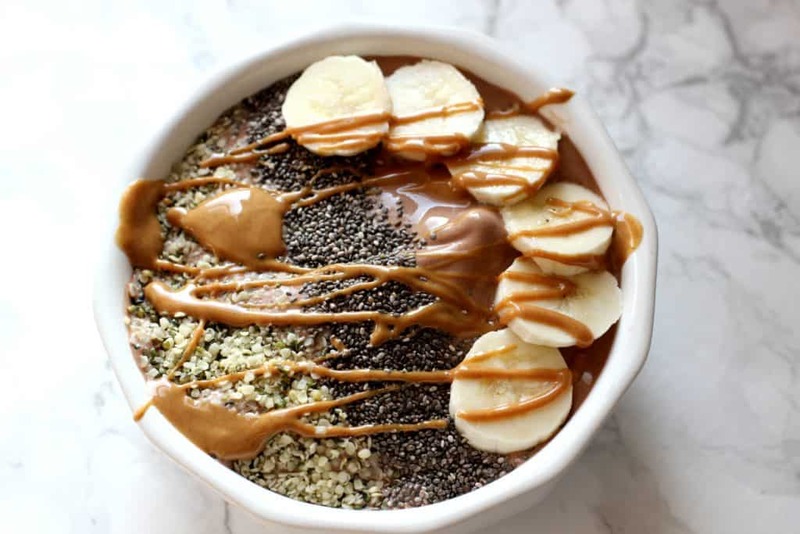 Give your next smoothie bowl a boost of protein with one of those Silk milks! P.S. If you want to make a gorgeous smoothie bowl like this one, check out my tips for making your smoothies thicker! What’s your favorite smoothie bowl combination? The weather has warmed up so much. We went from a cold 40 degrees to hot 85+. I can’t say I mind, except for running hasn’t been that enjoyable. This looks good. I like a good cold, smoothie bowl when it gets this hot. 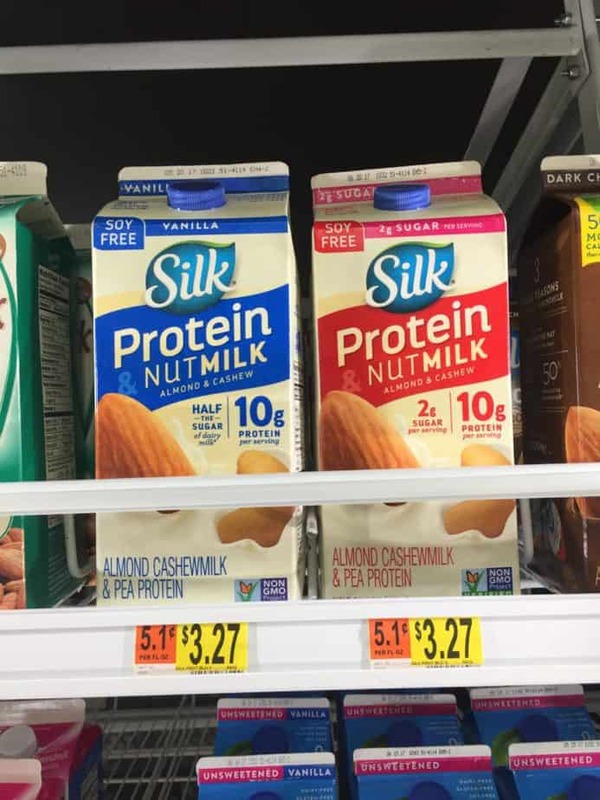 I’m a sucker for new nut milks, so I’ll have to try that out. That bowl looks amazing! Gorgeous bowl! I’m craving smoothie bowls like crazy after my long runs. Smoothie bowls are PERFECT for warmer weather, but I do eat them when it’s cold too. However I usually have to get on a winter coat to do that. PEANUT BUTTER – why! Oh WHY are you so addicting and GLORIOUS!! This looks amazing! Peanut butter is definitely a good way to start the morning! 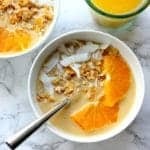 This looks like a delicious, and simple, way to start the day! This looks amazing – esp that peanut butter drizzle on top! 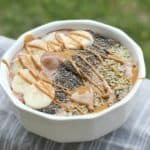 I haven’t done too many smoothie bowls – usually I’m just lazy and make a regular ‘ol smoothie – but I do make a cherry chia coconut smoothie bowl that I love as a recovery snack after a long run. i think my roommate has those same bowls, ha! look at that peanut butter drizzle. gets me every time! PS: there’s a beautycounter giveaway on my blog today!!! Actually, I’m not a smoothie person but peanut butter smoothie topped with more peanut butter. Goood idea. What is it that makes peanut butter so dang addictive??? That looks absolutely beautiful! Love me some PB in the morning! Pinned! This looks delicious, Liz! Thank you for sharing. I am a big fan of peanut butter, so I know I’ll enjoy this! I love PB! All nut butters! 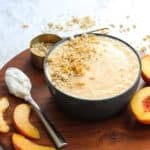 I am a huge fan of smoothie bowls and anything peanut butter so this is right up my alley. It’s like dessert for breakfast! Oh this looks and sounds so amazing! 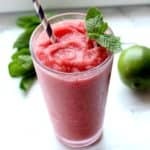 Perfect for the California weather… Am I a big fan of smoothie.. with peanut butter? Oh yes! !